It’s easy to say a domestic violence incident will never happen to you. Most people make claims that their relationship isn’t like that, or that you’d never lose your temper. But arguments between family members, romantic partners, or an ex can become incredibly heated. Keeping a clear head can seem impossible. As your argument goes from bad to worse, you or the other person might make a mistake and act out violently. Maybe you said something that sounded like a threat. This could lead to the other person accusing you of domestic abuse. If you have been arrested because someone accused you of becoming too aggressive, contact an Oakland domestic violence attorney at Silver Law Firm right away. We are here to review your case and help you determine the best way to defend against these allegations. Similarly, if you have been a victim of domestic violence and need representation during a case, want to file a restraining order, or simply want to avoid participating in the criminal court process altogether, contact our domestic violence attorneys for help. Whether you have been accused of domestic violence or are the victim of domestic abuse, contact experienced and compassionate domestic violence attorney Elliot Silver at (510) 995-0000 to discuss your situation and your next steps. If there is evidence that you attempted to commit a violent injury on someone else and you had the ability to harm them, then you can be charged with an assault crime. This charge is typically a misdemeanor. However, if you intended to cause serious bodily injury, you will be charged with aggravated assault (Penal Code 245), which could be misdemeanor or felony. It is a crime to inflict force or violence upon an intimate partner, including a fiance, co-habitant, spouse, former spouse, dating partner, or the other parent of your child. Visible injury is not required to be convicted of this misdemeanor crime. If there is evidence you willfully caused your current or former spouse or partner a physical injury, you can be charged with corporal injury to a spouse. This crime requires a resulting injury, while spousal battery does not. This could be a misdemeanor or felony, depending on the circumstances. Single or small bruises usually result in misdemeanors. More severe injuries will likely result in a felony charge. You can be charged with a crime if you made a credible threat to harm somebody. The threat must be specific and make the other person reasonably fear for their or their family’s safety. You do not have to intend to actually carry out the threat to be convicted. Like many domestic violence charges, this is a wobbler that can be charged as a misdemeanor or felony. If you willfully, maliciously, and repeatedly follow or harass another person and make a credible threat with the intent to make that person fear their own safety or the safety of their immediate family, you can be convicted of stalking. This is typically a misdemeanor offense. However, if your actions violate a restraining order, you could face a felony. In California, harassment is a knowing and willful course of conduct directed at an individual that is intended to annoy, alarm, torment, or terrorize and serves no legitimate purpose. Evidence of this type of behavior often leads to stalking or cyber-harassment charges. You can be charged with child endangerment if any of your conduct puts a child in harm’s way. This could include an assault or battery, taking the child to or leaving them in an unsafe environment, leaving the child unsupervised in public, and much more. The child does not have to suffer an actual injury, they only need to be placed at risk of injury. You can be charged with a misdemeanor or felony, depending on the circumstances. California defines child abuse as willfully inflicting any cruel or inhumane corporal punishment or injury on a child. To be convicted, there must be evidence that your actions caused the child to experience a traumatic physical condition and are not excluded as reasonable discipline. For example, you may spank your child for discipline, but it must be reasonable. Although you may have been whooped with the hickory stick or belt growing up, any spanking with belts, sticks, or weapons is not considered reasonable discipline. This involves violating the personal liberty of another person. Examples include intentionally restraining, detaining, or confining a person and making them stay or go somewhere against their will. This may be charged as a misdemeanor or felony. A misdemeanor charge of false imprisonment is sometimes added to other domestic violence charges. To learn more about domestic violence in California, visit our Domestic Violence FAQs and call us right away. Even if you are not facing criminal charges, sometimes the other person files for a restraining order against you. If you have received notice of a restraining order, contact us right away. You will need to appear in court and contest these claims. Defending against a restraining order is particularly important if your children are involved. An order forcing you to stay away from and refrain from contacting your children is devastating for any court-imposed child custody and visitation arrangement. It is also likely to severely harm your relationship with your kids. At Silver Law Firm, we understand victims of domestic violence are in need of legal representation as well. We are here to help everyone who has been threatened, stalked, and injured by a current or former loved one. The first step is usually filing a restraining order. This can be an emotionally difficult process. Let us handle the legal procedures and guide you through this difficult time. We can also represent you during criminal domestic violence matters, including a police investigation or criminal trial proceedings. It is particularly important to have an experienced domestic violence attorney by your side if you would like the prosecutor to drop the charges or you do not want to testify. If you are being wrongfully accused of a domestic violence offense, there will be a lot of pressure placed on you to simply accept your fate and take a conviction on your record. 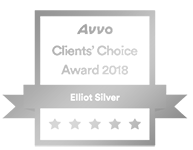 Instead, contact Silver Law Firm today to fight these charges. We are also here for you if you were injured in a domestic violence situation, whether it was reoccurring or one-time event. We will help you seek justice and maintain your safety. 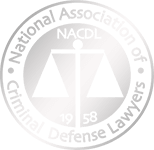 Don’t be bullied, railroaded, or bulldozed by the criminal justice system.  Contact attorney Elliot Silver directly by calling (510) 995-0000 or submit an online request to schedule a free and confidential consultation.